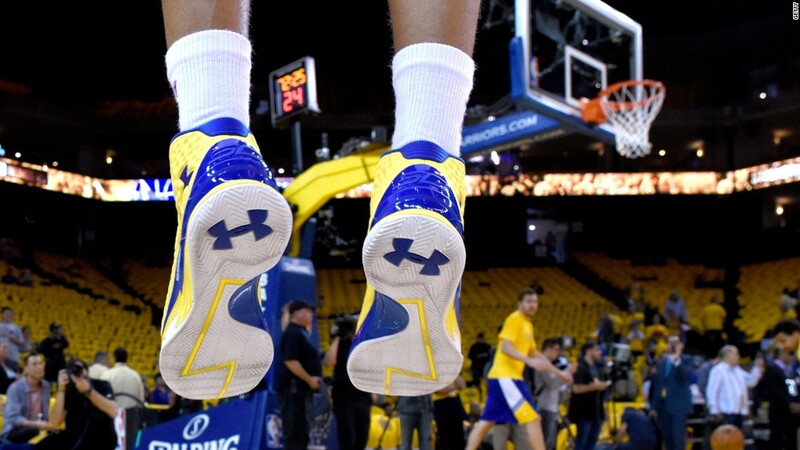 But several iterations of the Curry shoes have routinely been mocked on social media for not looking cool. Even Curry's teammate Kevin Durant, who endorses Nike (NKE), poked fun at Under Armour earlier this year. Meanwhile, Adidas (ADDYY) has thrived in the past year while Under Armour and Nike have both struggled. Even Skechers (SKX) has enjoyed a resurgence lately. But Saunders added that the company has to do more to court women as consumers, as Nike, Adidas and yoga apparel king Lululemon (LULU) have successfully done.